Conical, Round, Polygonal (Octagonal, Dodecagonal, etc). Steel materials conform to ASTM A36, ASTM A572. Q235 equivalent to SS400, S235JO. ≤11900mm can be with one section and loaded into 40HQ container. ≥12000mm need be designed with 2 sections. Unless use Flat Rack Container. Welding complies with CSA and AWS D1.1 standard. Joint with Slip Joint or flange mode. 2. Base plate is square or round with slotted holes for anchor bolt and dimension as per client`s requirement. Hot dip galvanization in accordance with Chinese standard GB/T 13912-2002 or American standard ASTM A123. Looking for ideal Electric Power Polygonal Steel Mast Manufacturer & supplier ? We have a wide selection at great prices to help you get creative. 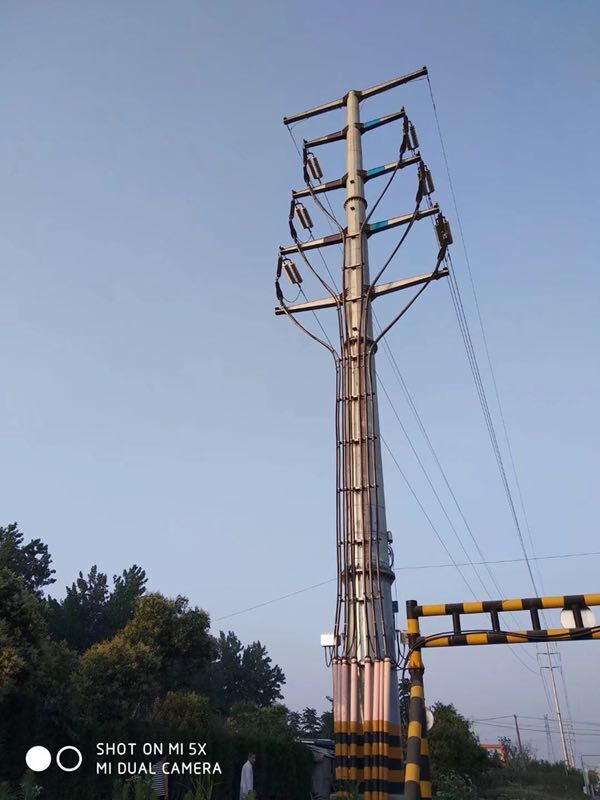 All the Galvanized Steel Electric Power Pole are quality guaranteed. We are China Origin Factory of Polygonal Steel Tubular Monopole. If you have any question, please feel free to contact us.